The ECD Hero 12D Kit comes with premium tipped ECD shooters and sidewalls designed especially for goalie length applications. Everything you need to start eating those rebounds and throwing outlets on a rope. If you want a serious channel custom job with this mesh .. look no further !! Our collegiate guys string these up to eat rebounds and throw outlets on a rope. 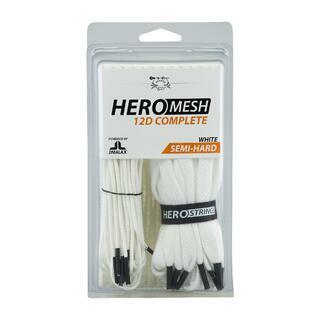 We recommend the Hero Semi Soft 12D Custom Pocket mesh for those players who want maximum rebound protection. These are usually the guys with faster but "harder" hands. 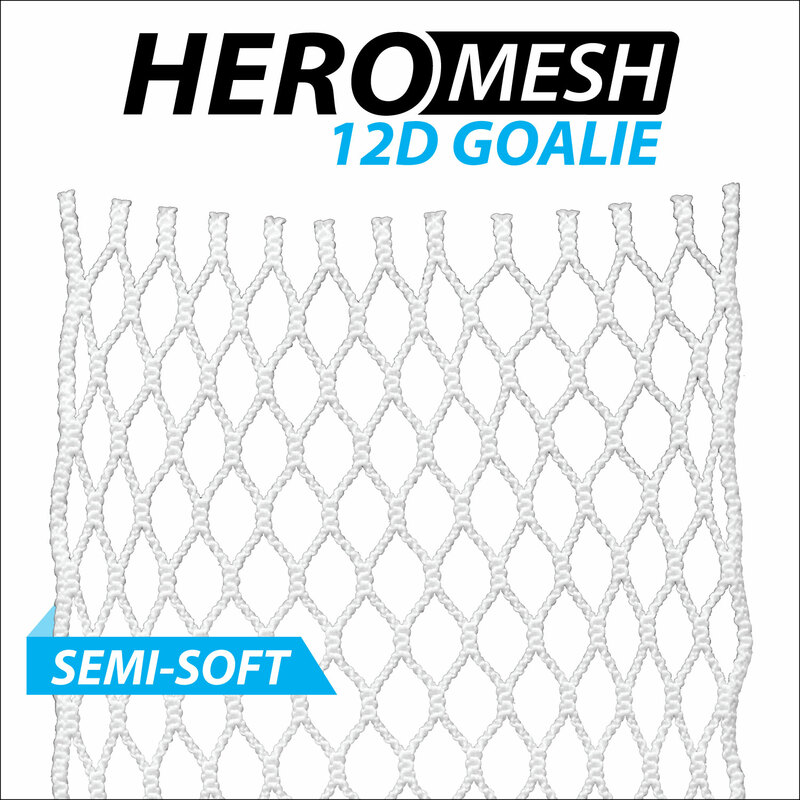 The Hero Semi Hard 12D Custom Pocket is recommended for players with "softer" hands who also want the ability to throw bullets on outlet passes. 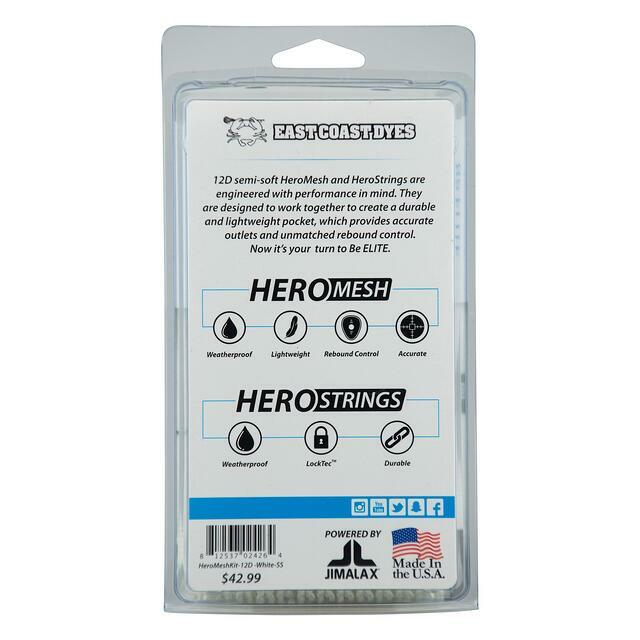 Save 20% for a limited time on these awesome custom stringing jobs… use code : HERODEAL at final checkout. The durability here is top notch and the pockets come basically game ready out of the box with minimal break-in. Experience what true collegiate level stringing can do for your game. If you are getting your head strung somewhere else, chances are it’s not a top tier job. Our stringers are trusted by the top high school and collegiate programs in the nation. Also introduced today are some of the most premium lacrosse goalie throw strings and sidewalls available. 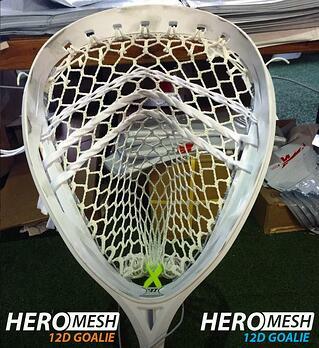 ECD Goalie Hero strings are the premium tipped, tight weave, top-quality strings you want in your goalie head. Why?? It's simple, when you spend that much time getting your pocket broken in, to the point where you are clearing like a champ, you don't want to have to adjust anything or have something break and start over… that's why. For a limited time only there is FREE SHIPPING on all of our stringing supplies at Lax.com. Use code : BLOGSTRING at final checkout to cash in on that deal. Also be sure to download the Lax.com FREE mobil app. We push our most amazing deals there from time to time and you will also get access to the newest gear and mesh first ! !